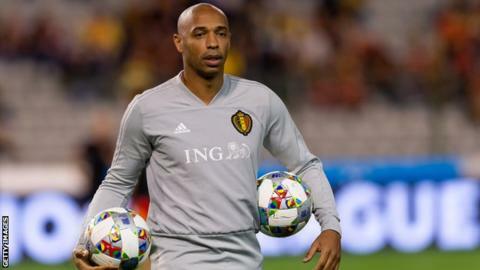 Former Arsenal striker Thierry Henry has been appointed as head coach of Monaco until June 2021. 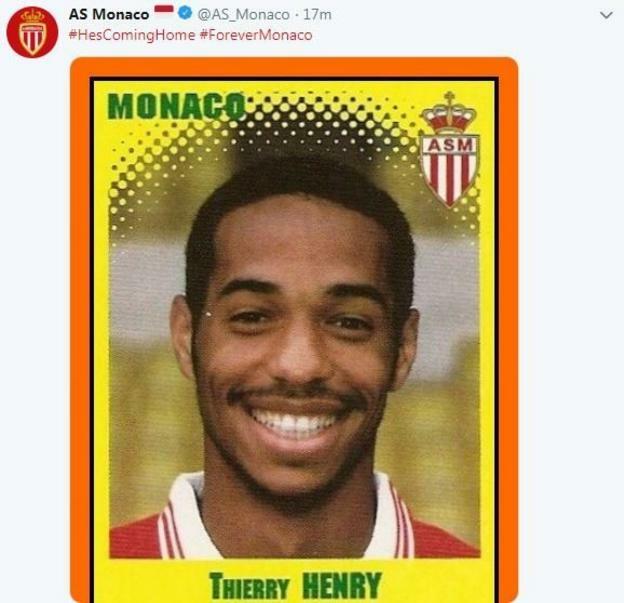 The 41-year-old Frenchman, who had been Belgium's assistant manager, began his professional career at Monaco and helped them win Ligue 1 in 1997. The club are third from bottom in Ligue 1 and sacked manager Leonardo Jardim on Thursday. "It seems like fate that I will begin my managerial career here," said Henry, who is Arsenal's record goalscorer.